Whether you simply want to keep up with the Jones’ or are putting your house on the market, there’s one area of your property in which a lot comes down to – your front garden. ‘Kerb appeal’ – how attractive your house is from the pavement – is the outside world’s first impression of you and what your house might be like on the inside. A recent survey saw 95% of respondents admit to judging their neighbours gardens, with almost half thinking they could do with giving it some extra attention. 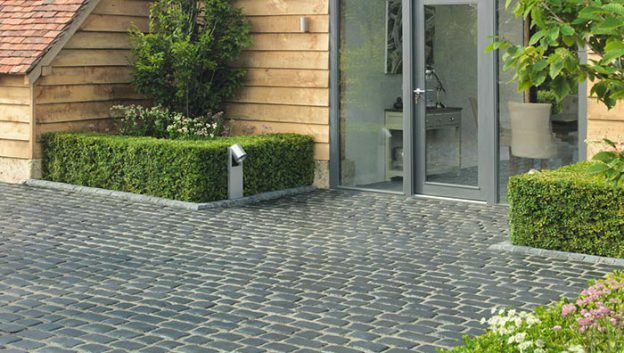 But with less that a third of British homeowners being happy with the look of their own front garden, it seems many of us are struggling to find the inspiration to turn it from a car storage area into an attractive outside space. Here are our top tips on making the most from your little piece of the world. 40% of homeowners recognise they need professional help when it comes to an outdoor revamp. As far as sites like Pinterest can get you on the inspiration front, understanding the practicalities of what will work for you is another level. A garden designer can guide you on the best layout, materials and plants, so you have a practical space which you enjoy spending time in. Read some of our articles to find out how to get the most from your designer. In the UK where space is at a premium, our front garden does a lot of work; it’s where we park, keep our bikes, store the wheelie bins and hopefully do a bit of gardening. Thinking about practical features first will reassure neighbours – and potential buyers – and avoid a point of contention. A garden designer will have plenty of tip and tricks to create a hidden place for rubbish bins, and a hardwearing, attractive driveway to get all the neighbours talking. It’s not something we always consider, but outdoor lighting can really change the perception of a home. Outdoor lighting aids security, which can reduce home insurance costs and provide reassurance not only to yourself but your neighbours. Done well, it also adds a contemporary feel, enhancing a front garden and porch very effectively. Just as you wouldn’t leave your house in a mess before your friends drop by for a visit – or a viewing if your selling – you shouldn’t do the same with your garden. Regularly weeding, sweeping leaves and cleaning paths is essential to keep things looking tidy. A good tip from Matthew Carroll of Hortipedia is to maintain neat edges; it spruces up the front garden immediately and gives the impression of low maintenance. 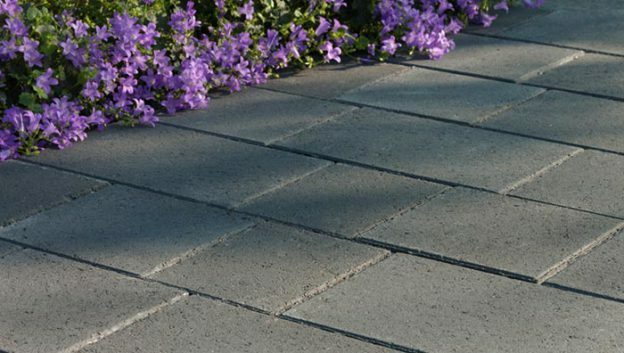 For the best results, you can use stone edge restraints, which will age well and keep plants corralled. Adding subtle hints of colour to your front garden can make your home look more welcoming. 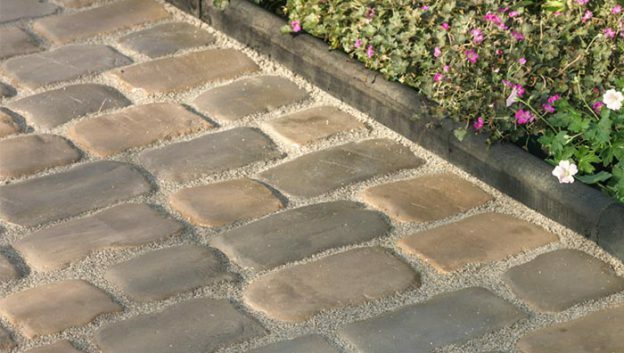 If you’re repaving your driveway, consider different colours and textures – the ‘antiqued’ surface of these Millstone Driveway Setts offer an elegant look and feel, and come in a range of shades. Adding in areas of soft landscaping with a mix of colourful flora for an easy-to-maintain, vibrant surround to a paved area can brighten up any dull patches. Pots and planters can be used if you need more hard surface space for cars or bikes. First impressions count, and with a well-considered front garden you can bump up your ‘kerb appeal’ and potentially the perceived value of your home. For more ideas on designing a beautiful, functional front garden, take a look at our articles.